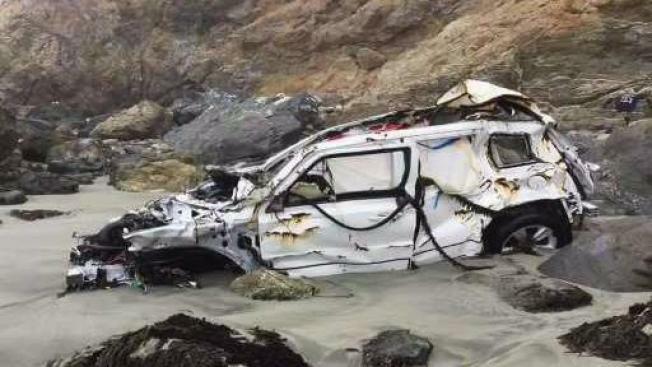 An Oregon woman who was stranded for a week after her Jeep plunged 250 feet over a cliff into the ocean near Big Sur in California says she survived by drinking water dripping from moss. 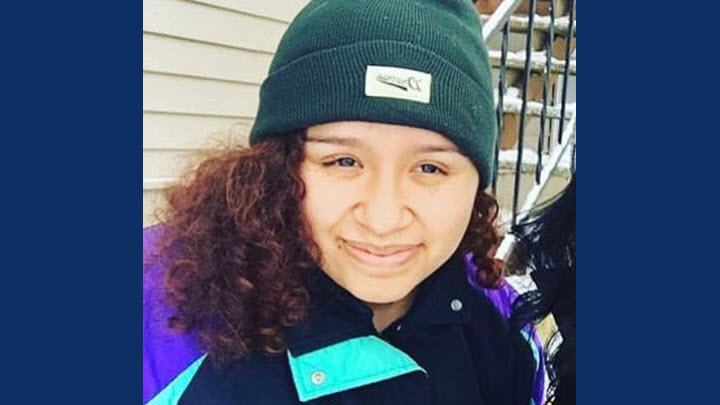 Angela Hernandez posted a detailed account Sunday night on Facebook of her survival after the crash. "I don't really remember much of the fall," she wrote. "The only thing I really remember after that was waking up. I was still in my car and I could feel water rising over my knees. My head hurt and when I touched it, I found blood on my hands." 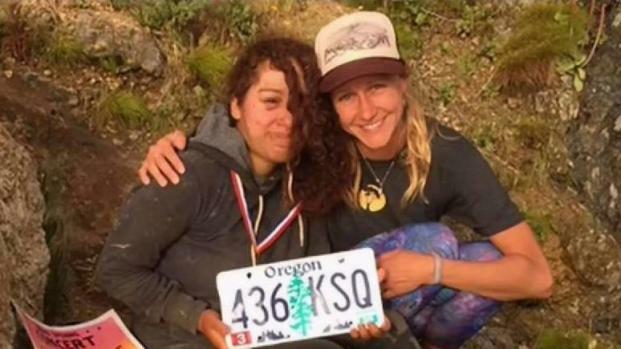 A couple on a camping trip found a missing Oregon woman who had survived for nearly a week after her car went over a cliff in coastal California, authorities said. Bob Redell reports. By breaking one of her windows, she was able to escape her partially submerged car and get to shore, where she fell asleep for an unknown amount of time. Every bone in her body hurt, she wrote. "When I woke up, it was still daylight and it was only then that I had finally realized what had happened," she said. 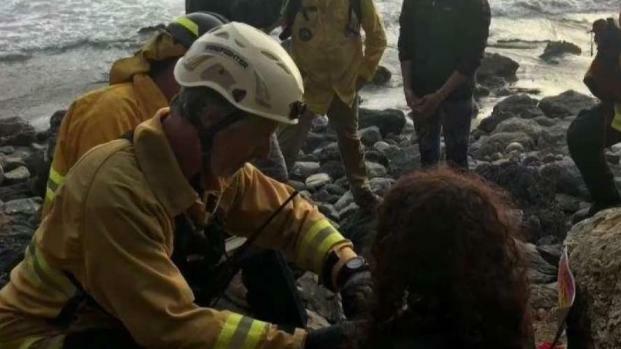 The 23-year-old said she spent each day walking the isolated stretch of beach, searching for help, and was unable to make her way back up to the highway. "I found a high spot I was able to climb up to and found myself there almost every day. I could see cars driving across the cliff and felt like if I could yell just loud enough, that one could hear or see me." After three days, she began to feel the effects of dehydration. That's when she returned to her vehicle, rummaging around until she found a 10-inch black hose that appeared to have fallen off in the crash. A search for water eventually led her to a patch of moss, which she said had "water dripping down from it." "I caught the water in my hands and tasted it. It was fresh!!!! I collected as much as I could in my little hose and drank from it for maybe an hour." A Portland, Oregon, woman who had been missing for a week was found late Friday in Monterey County, officials said. Ian Cull reports. She was finally rescued Friday by two campers who spotted her mangled car. That day, Henandez awoke and "saw a woman walking across the shore." "I thought she was a dream," she said. But Chelsea Moore wasn't a dream. She was a hiker who, along with her husband Chad, was searching the area for a good place to fish. "As soon as we got to her, we realized, like, 'Whoa, she needs help,'" Chelsea Moore said, noting that Hernandez had two black eyes and was "looking rough" but was still able to stand and talk. They called for help, and Hernandez was taken by helicopter to a hospital, where Hernandez says she was reunited with her family and discovered the extent of her many injuries, which included fractured collar bones and ruptured blood vessels, according to her Facebook post. Despite the life-threatening ordeal, she said she feels like she has everything she ever wanted. "I've met some of the most beautiful human beings that I think I'll ever meet in my entire life," she wrote. "I don't know, you guys, life is incredible." Sheriffs SAR responding to a White Jeep with Oregon plates over the cliff off Hwy 1.